The World’s Best Airlines of 2018 will be announced on Tuesday 17th July 2018 at the World Airline Awards. The World Airline Awards being held in the Grand Ballroom of The Langham Hotel, London. Leaders and top management from airlines across the globe will assemble to hear the winners unveiled and receive their accolades. See the Top 100 Airlines in the World voted for by airline customers across the globe. Celebrating their 18th anniversary, the World Airline Awards are independent and impartial. They started in 1999 to provide a customer satisfaction study that was truly global, with travellers across the world voting in the largest airline passenger satisfaction survey to decide the award winners. Skytrax pay all costs of the Survey and Awards event. Airlines do not pay any survey entry or registration fee, and the awards event is free to attend. There are no charges for airline use of the award logos and results. Over 100 customer nationalities participated in the 2017-2018 survey with 335 airlines featured in the survey results. 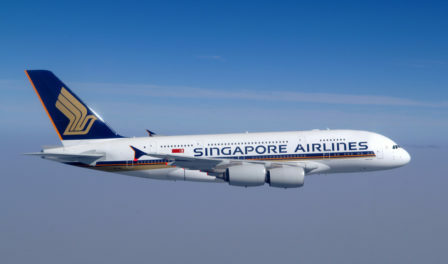 Nominations are made by previous year survey respondents (from a database of 24.45 million customers), and online surveys (worldairlinesurvey.com) between August 2017 and May 2018. The survey forms were offered in English, French, Spanish, Russian, Japanese and Chinese. The largest nationality increase in the 2017-2018 survey was Chinese customers with an additional 3.5 million entries.